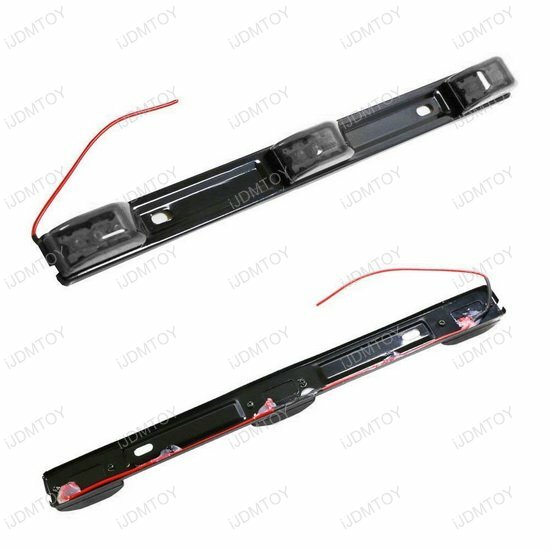 A: The 14" red 3-lamp truck/trailer ID LED light bar will fit most trucks including (but not limited to): Ford F250 F350 F450 Super Duty, Chevrolet Silverado, GMC Sierra, and Dodge RAM 2500 3500. 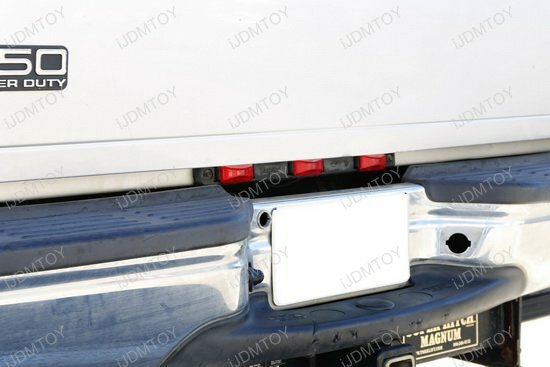 A: The mounting holes on the LED running lights are 8.25" apart. 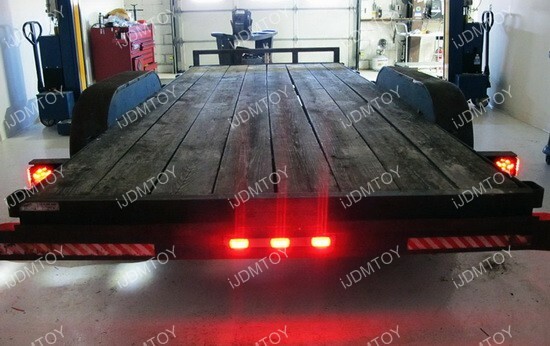 Unless the mounting holes on your truck bed are this length, you will have to drill holes to bolt on this LED light. 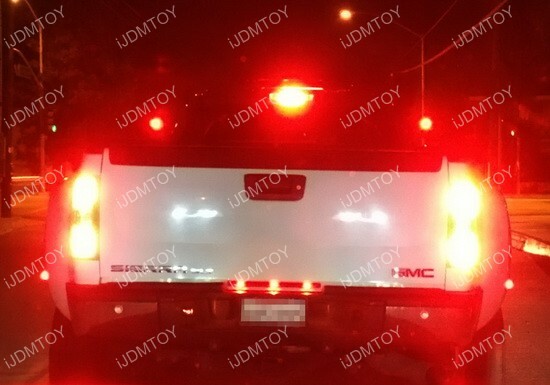 Wiring actions are also required to install the LED truck bed running light. 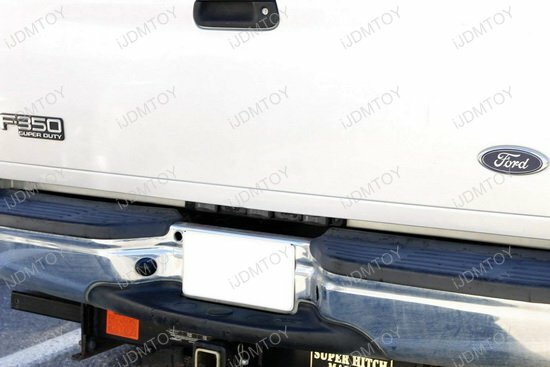 A: Step 1: If your mounting holes do not align with that of the truck bed mounted LED running light, drill holes 8.25" apart from each other. Step 3: Connect the metal body to a ground or negative (-) connection. 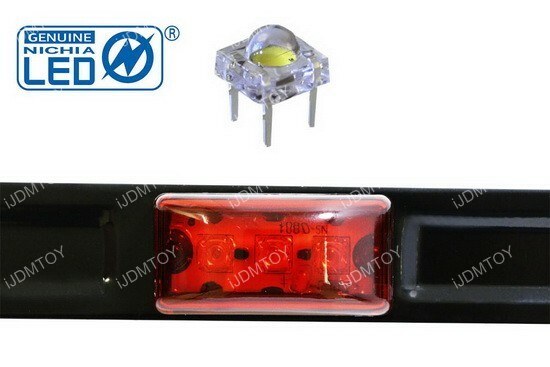 Connect the red wire to your running light positive (+) connection. 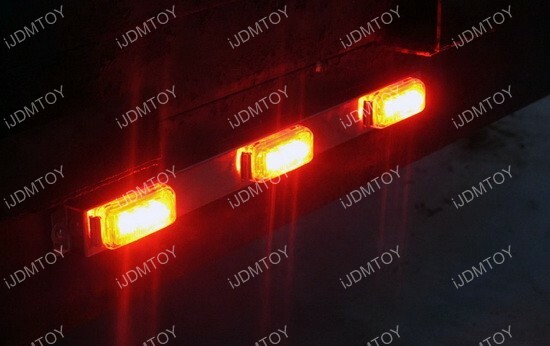 Introducing iJDMTOY's universal fit 14" red LED tailgate light bar. 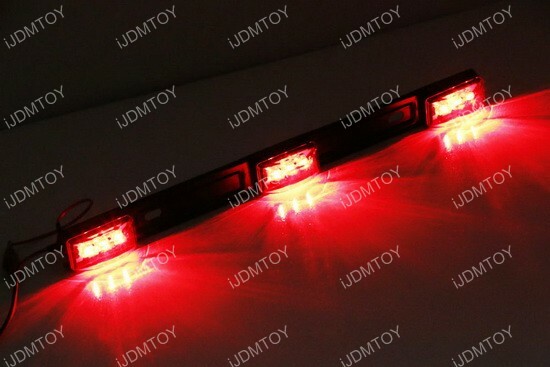 This 3-lamp red led light bar will make your truck more visible on the road while also adding awesome unique style. 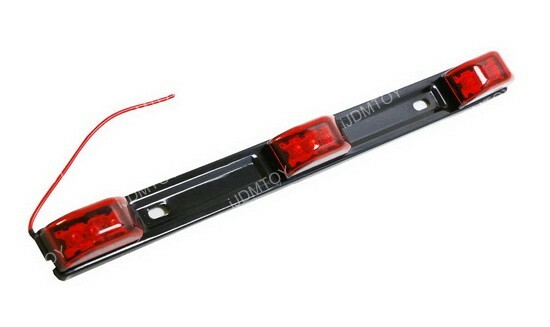 Installation is simple, you just need to mount this mini LED light bar to the trunk tailgate (ground) and tab the single red wire to the existing brake or tail light positive. 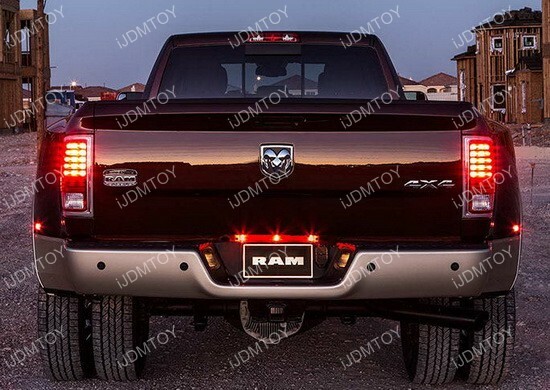 Very simple design, easy to install and VERY bright. 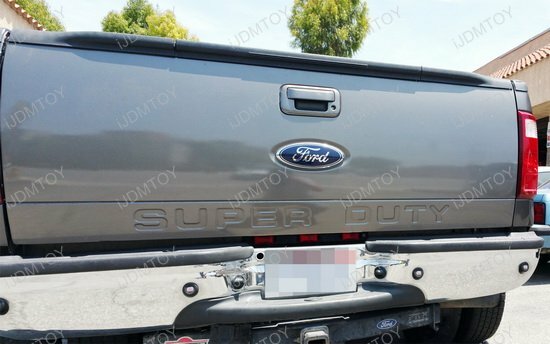 Adds a nice look to my new 2016 f250. 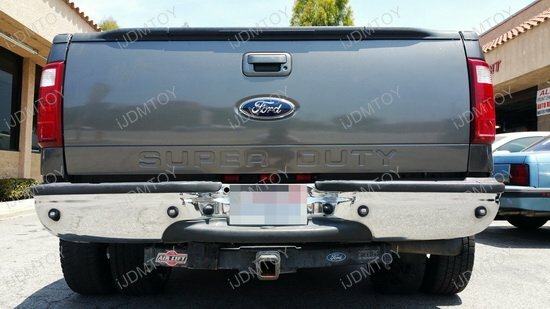 I wish the red wire was longer though - I had to add an extension wire to reach the license plate. 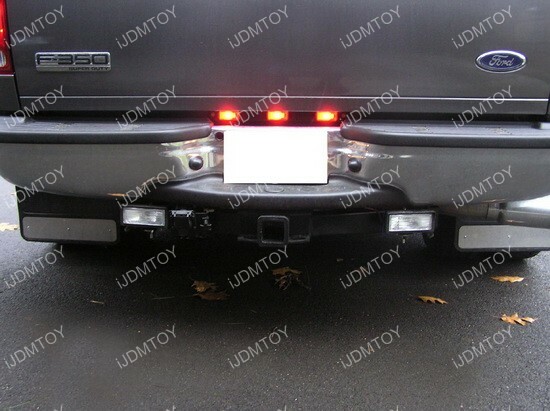 Installed these LED rear marker lights behind my tailgate on a 2006 Ford F-250. 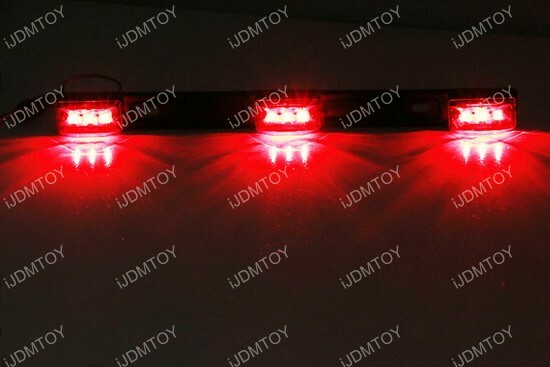 Wired up to my license plate illumination because I want these whenever my headlights are on. 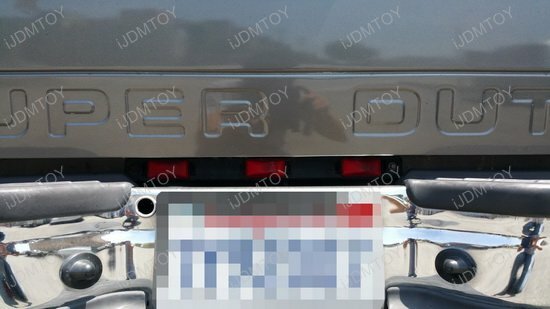 Removing the tailgate was a breeze. 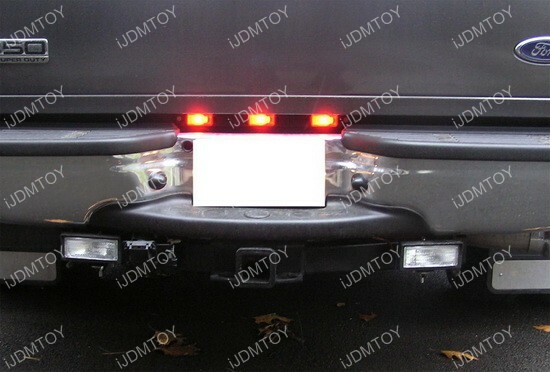 I used an extension cable to attach the LED rear marker lights to the existing vehicle system. 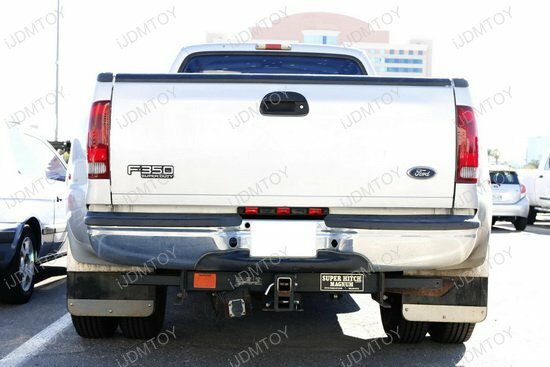 Included screws hold the unit tight and provide a good ground connection.